Monica is the firm’s Chief Administrative Officer where she is responsible for managing all aspects of the back office. Monica was the first person we called when we started MiddleGround Capital and has been instrumental in the build out of the organization. 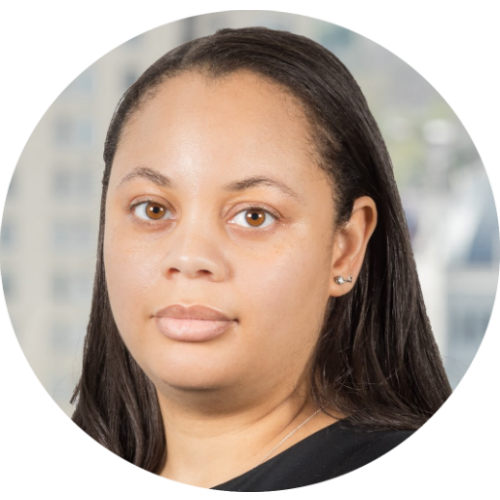 Monica relocated to Lexington from Atlanta where she worked for global payment processor, Fiserv, a US provider of financial services technology, as a Senior Compliance Specialist/Analyst in their Audit and Compliance department. Prior to Fiserv, she worked at Monomoy Capital for 8 years as an Office Manager. She received her Bachelor of Business Administration in Finance and Computer Information Systems from Georgia State University. Monica is a real “foodie” although she admits that was much easier to be in New York City than in Lexington, Kentucky. She rarely finds food that is spicy enough for her and, if she does, everybody in the office knows to avoid it. Some at MiddleGround thinks she spends too many hours working, however, she has recently picked up golf as a new passion so we expect big things from her in the future.